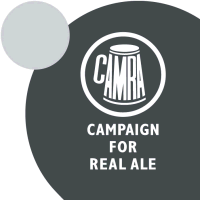 The 2019 CAMRA Southampton Beer Festival is on Friday 7th and Saturday 8th June at St Mary’s Stadium. Tickets will be available in mid-April. To be alerted when tickets are available, please follow us on social media or join our BeerFests Mailing List. Please see our 'Winners' page to see results of our 2018 Beer of the Festival, Cider of the Festival and charity donations — all of which were decided by our customers. Southampton Beer Festival is run by volunteers from Southern Hampshire CAMRA.